David Alaba has joined FC Bayern München team-mate Manuel Neuer in your Team of the Season after fending off stiff competition from Borussia Dortmund's Marcel Schmelzer. 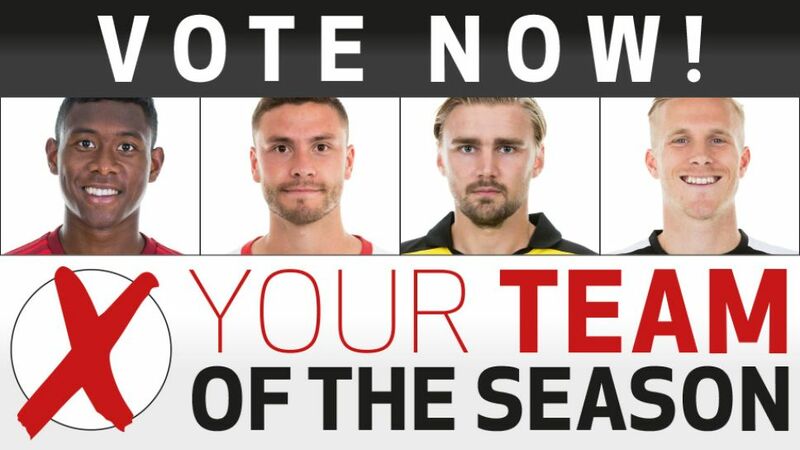 Click here to view all the candidates for the 2015/16 team of the season! The Austria international became the first member of your back four, doubling FC Bayern's contingent in your Team of the Season after Neuer in goal. Alaba just held off Dortmund's Schmelzer, claiming a combined total of 44 per cent of the vote from the @bundesliga_EN and @bundesliga_de polls. The BVB man received 42 per cent with 1. FC Köln's Jonas Hector third (8 per cent) and Borussia Mönchengladbach's Oscar Wendt (6 per cent) fourth.